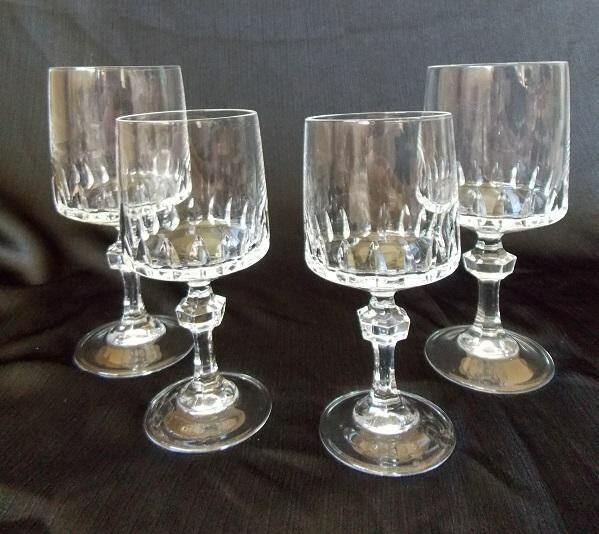 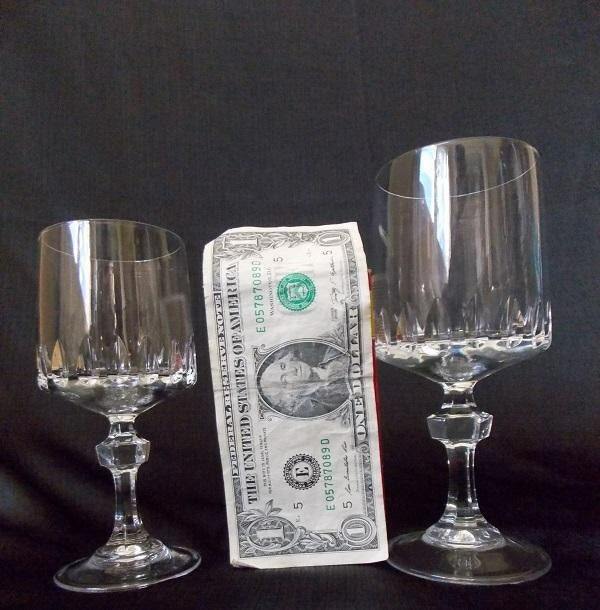 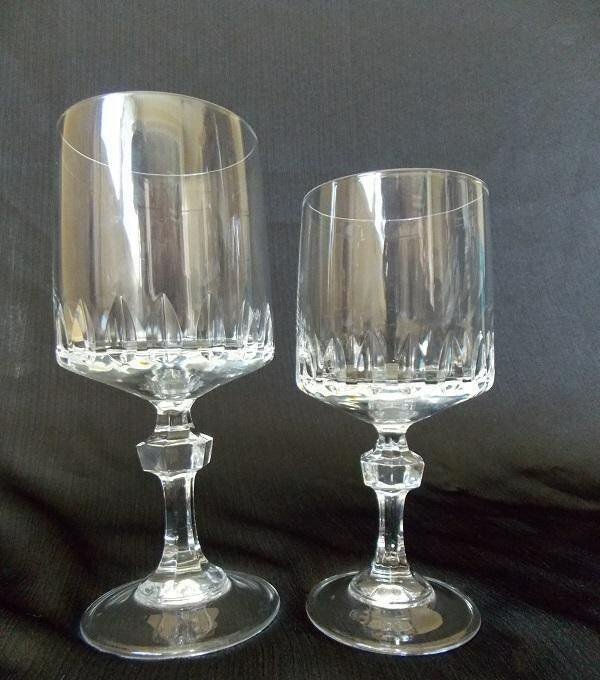 Set of four elegant mid century crystal wine and water glasses were made by Princess House. 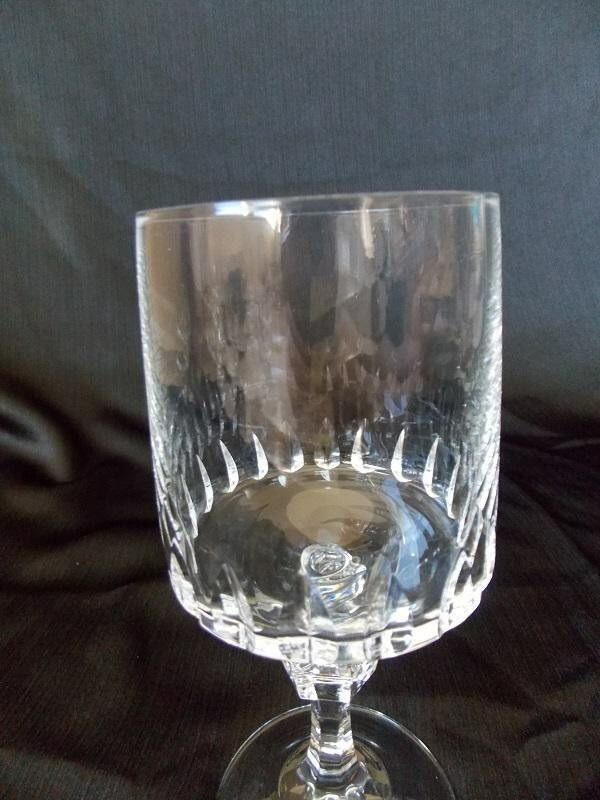 They feature vertical lines around the bottom of the bowl. 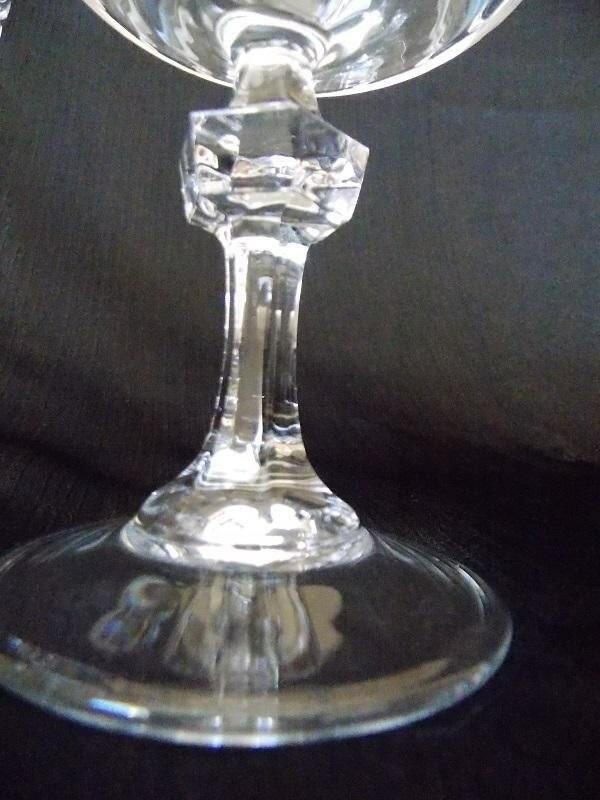 It has a clear stem with a stacked square design on the stem.